Pre-emergent herbicide works by putting a chemical barrier down, in granular or liquid form, over the top of the soil. This will stop the weeds from germinating above the soil line. 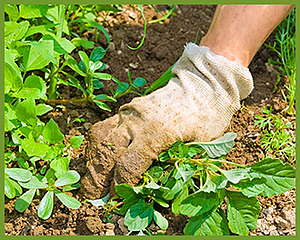 To reduce the number of weeds or eliminate them completely, a pre-emergent should be applied at least twice a year. We recommend applying in the beginning of spring and fall. Applying a pre-emergent herbicide is an easy way to spend less time working in your yard and more time enjoying it! Keeping your weeds in control not only ensures an attractive landscape but creates a much healthier environment for the rest of your plants and gardens. Save $$$ on all Pre-Emergent products in stock at any Moon Valley Nurseries near you! Below are pre-emergent herbicides we recommend and sell at all our Moon Valley Nurseries locations. Come in and get yourself ready to fight those intrusive weeds once and for all! Recommended as our top choice for granular grass & weed prevention. It's easy to apply and extremely effective against the common unwanted weeds and grasses in Southwestern gardens. Easy-to-follow instructions are found on the bag. This RTU (Ready-to-use) herbicide is a pre-mixed concentrate that can be applied straight from the bottle through the attached nozzle. Weed Impede is our top choice for liquid herbicides, as they work great against common weeds and grasses. This is the concentrated form of the Weed Impede RTU - this contains a full-strength concentrate. So, while it's not ready to use right out of the bottle, you will get a more potent concentration of herbicide. We recommend the concentrated form for large yards with a massive weeds issue. Unlike other pre-emergent, this not only kills existing weeds, it prevents new ones from forming for up to 6 months. This means you can apply this product before having to pull out the weeds yourself and is by far the easiest solution to weed control. Come in to your nearest Moon Valley Nurseries location and save up to 20% on all pre-emergent herbicide products. Bring in the coupon below for this amazing in-store only savings! Every second you let a weed stay in your yard, is a second that more seeds could be falling into the ground, ready to become its own weed and take up more space in your yard. So, what’s the best way to gain control of your landscape? Spray regularly at peak growing times to be pro-active against the infestation. This is never how you want to spend a weekend morning (or the full weekend, depending on how many weeds have crept in). However, it does need to get done and the sooner you do it the better. Each day allows the weeds root system to grow deeper and stronger, while the flowers have more time to pollinate and spread EVEN MORE weeds around the yard. All you need is a pair of gloves, a bin/bucket for all the weeds you pull, some knee pads/towel to give your knees a bit of protection, and, if you ask nicely, a friend to help you out! Remember to remove the entire root from the ground. For additional assistance, a hoe or shovel can help remove the roots that have gone deep enough to withstand being pulled by hand. Weeds, like every other plant, need sunlight to survive. The mulch acts as a barrier to keep the weeds seeds from getting any sunlight, essentially smothering them. If using mulch to suppress weed growth, be sure that the mulch is at least 2 inches deep. Replenish the mulch, as needed. For added protection, cover the ground with newspaper or cardboard before adding the mulch. Close planting is exactly what it sounds like - It’s the concept of planting shrubs, ground cover, or grass materials close to each other. Some people enjoy close planting due to the overall aesthetic. This is also a great way to keep weeds from growing since they will not have the space or sunlight to succeed. Weed prevention with pre-emergent herbicides will keep your landscape looking healthy and beautiful and may inspire you to plant more things that can add more beauty to your landscape! Visit your nearest Moon Valley Nurseries location. 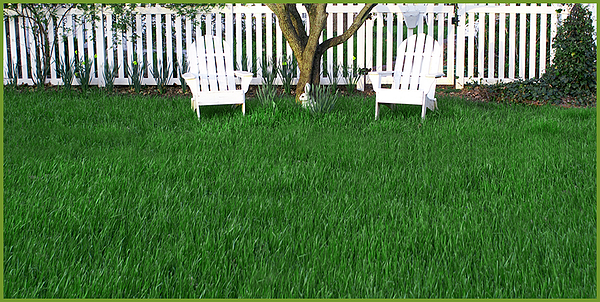 We have got you covered for all your landscape needs!